The wireless and untethered PlayStation Move navigation controller adds directional buttons, an analog stick, and two shoulder buttons into the PlayStation Move's control scheme. 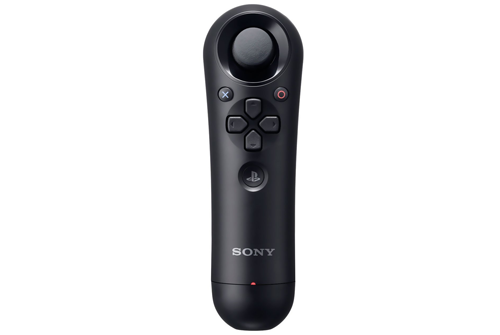 Used in most of the PlayStation Move games that require navigating an in-game character, it replicates the control features of the left side of the DualShock 3 wireless controller into your PlayStation Move experience. The navigation controller's analog stick (or directional buttons) allows for convenient XMB menu navigation, and the X button, O button and PS button make it simple to enter or exit any options of the XMB menu. In addition, the navigation controller contains the L1 button, L2 button and L3 button for actions and commands common in advanced gaming. Take your core experiences to new heights of realism and interaction with the PlayStation Move navigation controller. The Move Navigation controller was originally designed as a supplemental controller for PS3 gamers (much like the nunchuck controller for the Wii), therefore the benefits of using this with the CronusMAX PLUS is that its buttons can be remapped as a fully functional one handed controller - perfect for disabled gamers.